The Royal Melbourne Hospital and University of Melbourne-led study is the first to provide evidence that the currently available therapies can delay progression of disability in Multiple Sclerosis. It showed that early treatment—particularly within five years of onset—delayed the secondary progressive stage of MS, which is characterised by an ongoing increase of disability. It showed that early treatment—particularly within five years of onset—delayed the secondary progressive stage of MS, which is characterised by an ongoing increase of disability. The conversion to the secondary progressive stage of MS is characterised by worsening of physical and mental capacity and reduced quality of life. Therefore, the capability to delay this progression of disability represents an important outcome for people living with multiple sclerosis. The results of the study were published in the international medical journal, JAMA. The study was led by the Clinical Outcomes Research unit (CORe) at The Royal Melbourne Hospital and University of Melbourne in collaboration with the University of Cambridge. The international study used data from 1555 patients, from 68 neurological clinics across 21 countries. 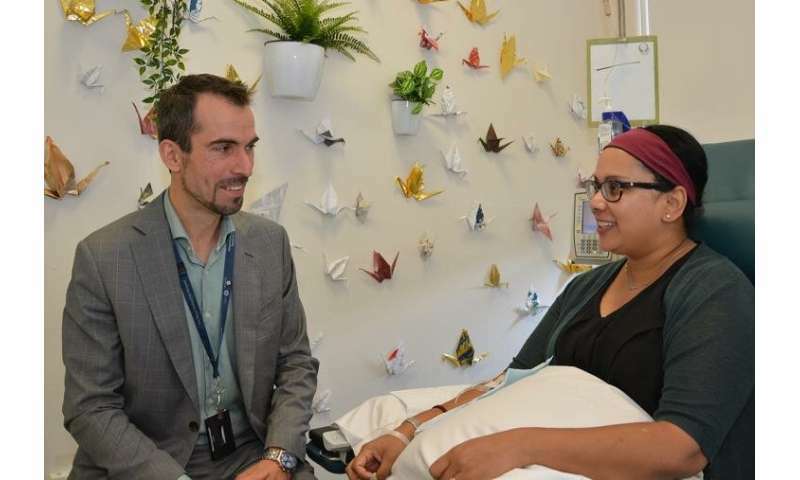 One of the study leads, Associate Professor Tomas Kalincik, head of the MS Service at The Royal Melbourne Hospital and CORe at the University of Melbourne, said that the study showed how important it is to treat MS pro-actively. “People who converted from relapsing MS to secondary progressive MS experience gradual and mostly irreversible worsening of disability. “Most of the therapies that we use to treat MS have no effect once people have converted to secondary progressive MS. This study shows us how important it is to treat relapsing MS early and pro-actively,” Associate Professor Kalincik said. Royal Melbourne patient Gowri was diagnosed with MS when she was in her 20s. She now has monthly infusions to treat her MS.
She is pleased that doctors have the data to prove that current treatments are effective. “It’s fantastic—it makes you feel very grateful that the treatment is working,” she said. “This year will be 20 years since I was diagnosed, and even though I have some symptoms and I have been in hospital—particularly after the birth of my daughter, I’m able to work, catch up with friends and have a normal life,” Gowri said. Associate Professor Kalincik said the results are reassuring for neurologists and patients with MS.
“This study shows that the therapies they have been treated with for many years, significantly improve the quality of their lives over the long-term” he said.